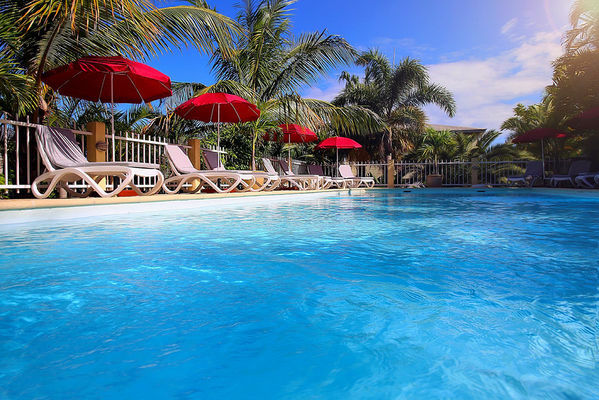 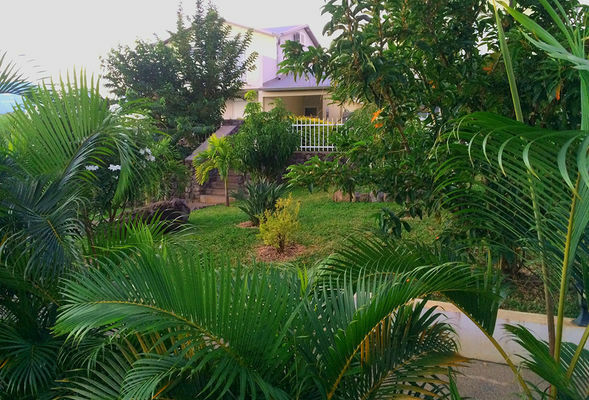 A small holiday residence with a swimming pool (15 x 5.5 m), the Oasis de Terre Rouge is situated at the entrance to the town of Saint-Pierre, just a few minutes from the town centre, beach and yacht harbour. It has ocean view. 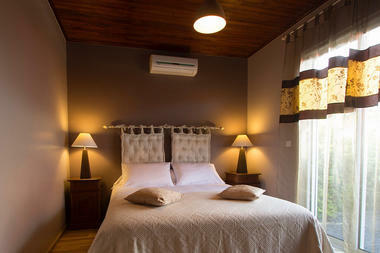 It offers 4 one-bedroomed apartments and a villa. 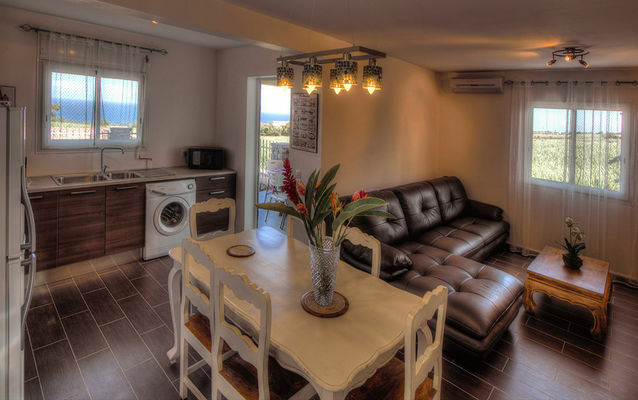 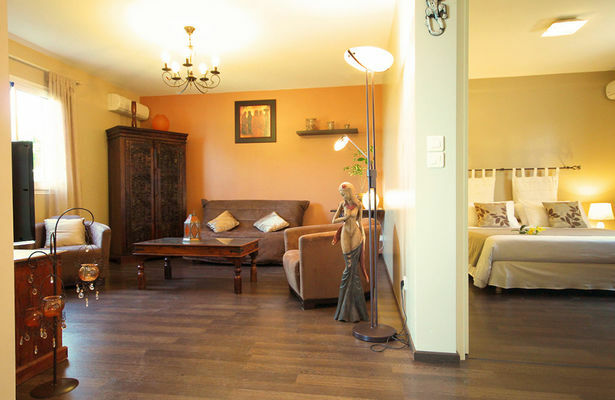 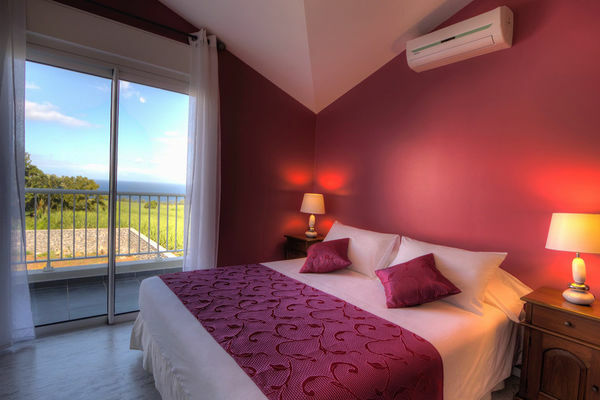 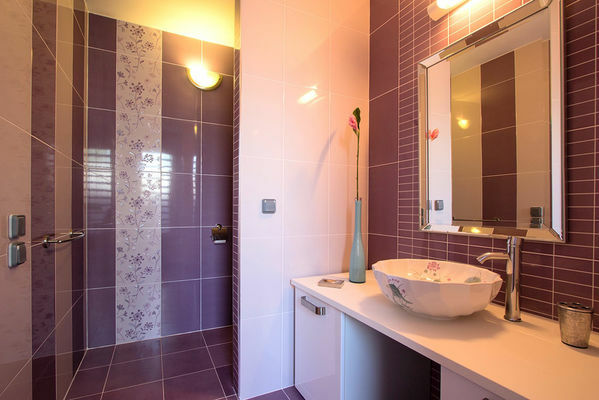 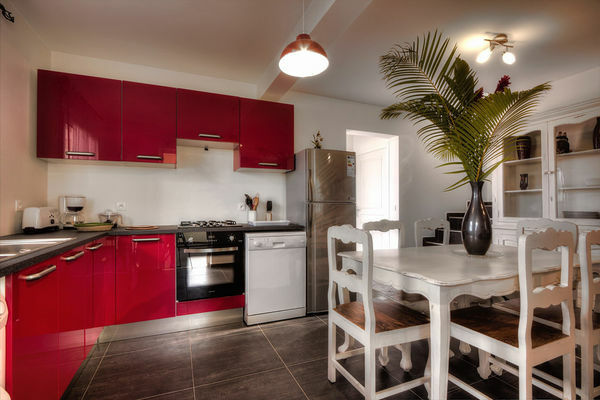 The apartments for 2 people have a lounge area, a fully equipped kitchen and a double bedroom. The Villa Palissandre has approximately 100 m² of space and consists of 3 air-conditioned bedrooms with accommodation for up to 6 people. The living room and the open-plan kitchen are roomy and luxuriously appointed (exotic wood furniture and leather). 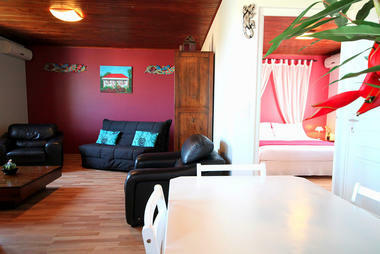 The villa has a terrace, a small private garden and a stone barbecue. Cleaning each week and upon departure is included in the price. A baby cot and high chair can be provided. Private enclosed car park and automatic gate.